' Rise and Shout...BYU onsie - Sisters, What! The college football season is yet upon us again. Let's be honest though, I can understand most sports, but every year my husband always has to give me football 101; for some reason it goes in one ear (stays in just until the end of the season) and then out the other ear. The only reason I watch it is to cheer on BYU, so for that reason I do enjoy it. So in honor of their second game today, I decided made the Lukester a onsie to wear. I didn't realize until afterwards that I did the Y backwards, oops! 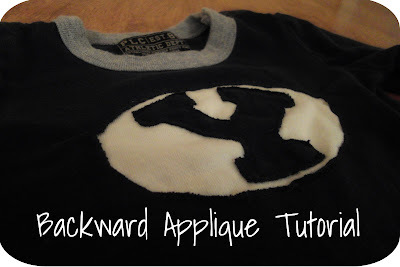 I remembered that my sister did a backward applique sweatshirt in high school and thought it would work well for this project. It was so easy and turned out great (besides the backward Y). first pick the material you want to peak through. In my case I used a blue onsie with white t-shirt as a contrast color. 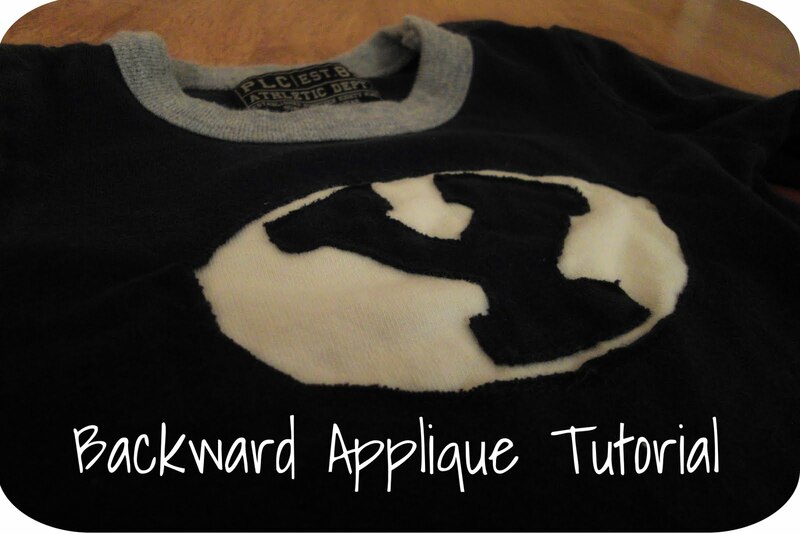 Just like regular applique, you need to use interfacing (one sided iron is the best). on the interface, sketch your pattern or letter you want. With the onsie or shirt inside out, layer like this: onsie, white material, interface. then turn the onsie or shirt right ways and cut out the negative material. There you have it. I love it! 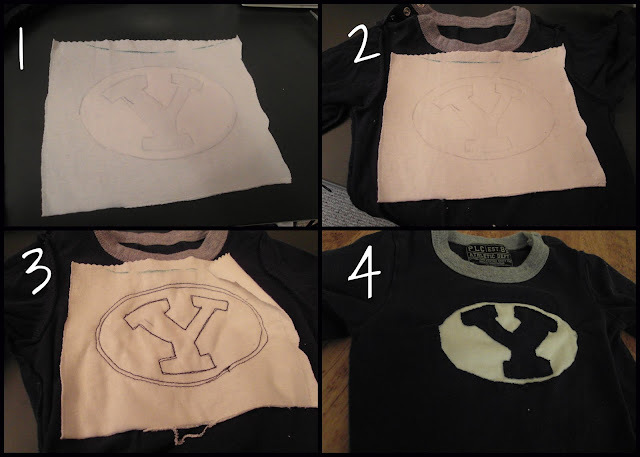 What a great idea to sew the Y! That is sooo cute! What a great idea!